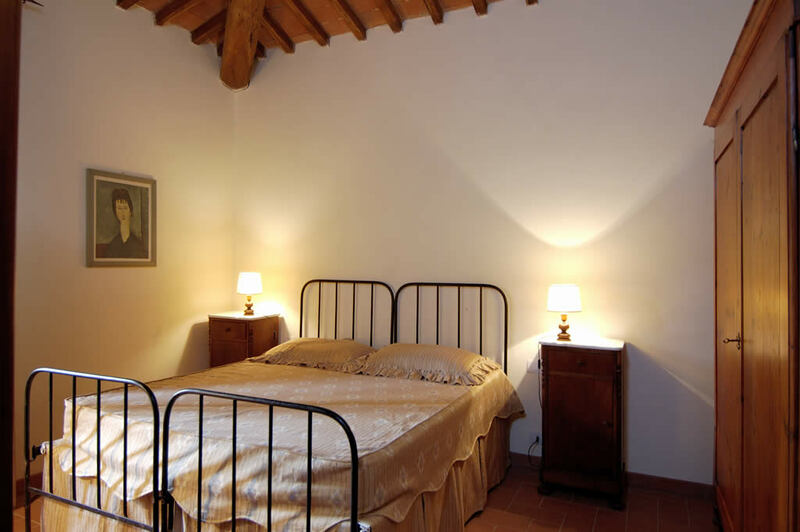 Nimphaea is located on the first floor of the Le Giuncaie farmhouse hay barn. 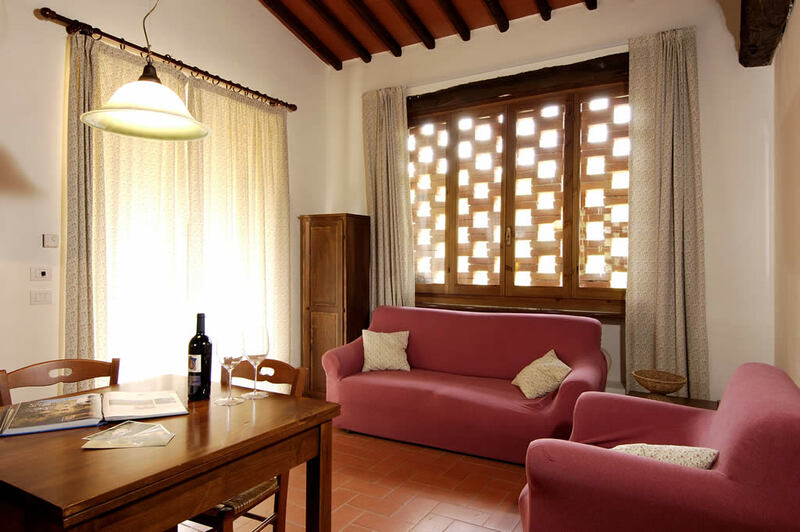 The apartment has its own private outdoor space – a sheltered garden equipped with sun umbrella, dining table with chairs and deck chairs. 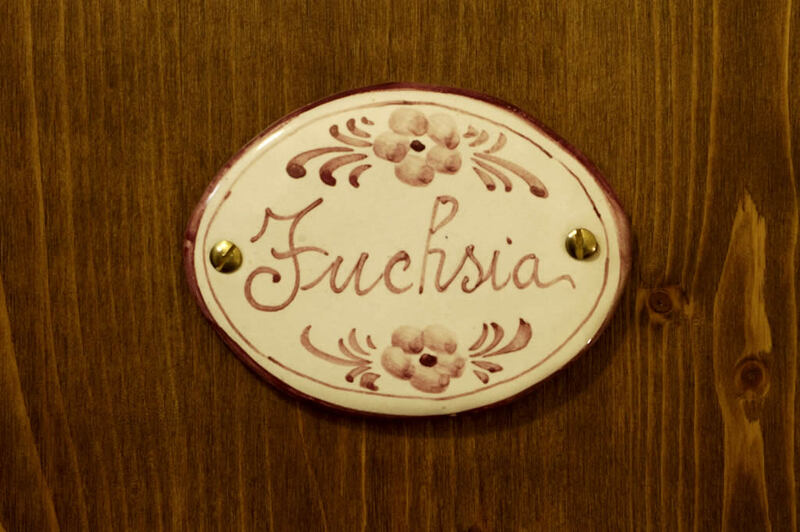 Fuchsia is located on the first floor of the Le Giuncaie farmhouse. 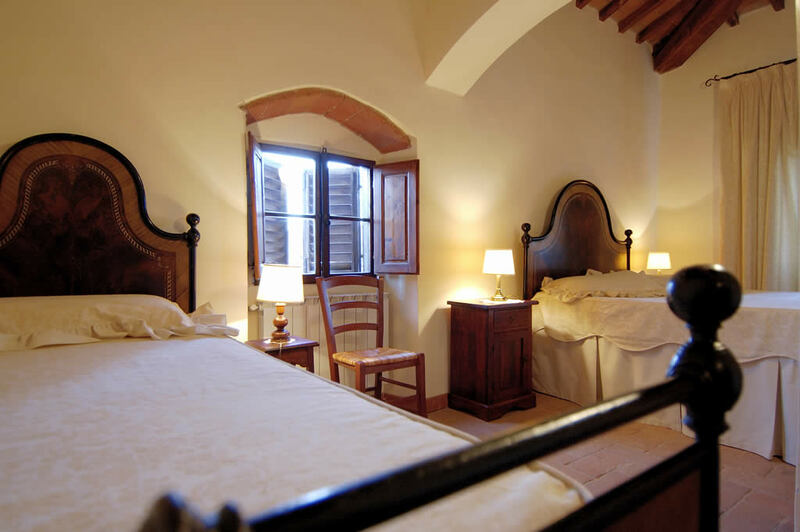 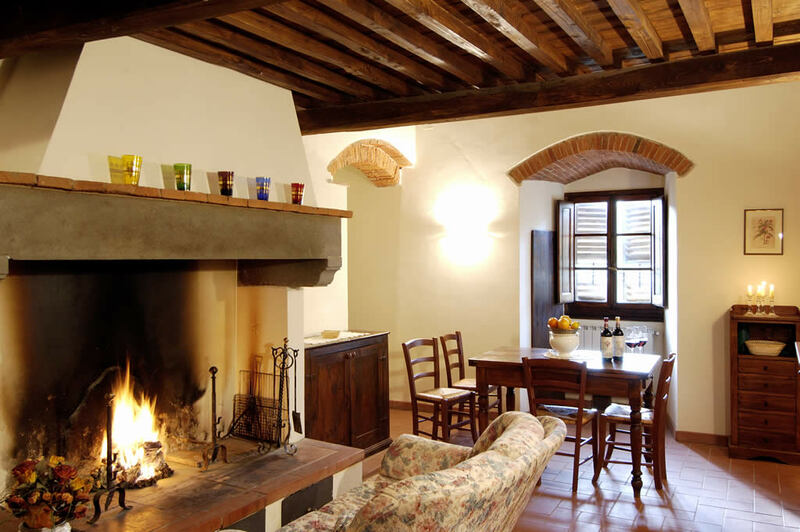 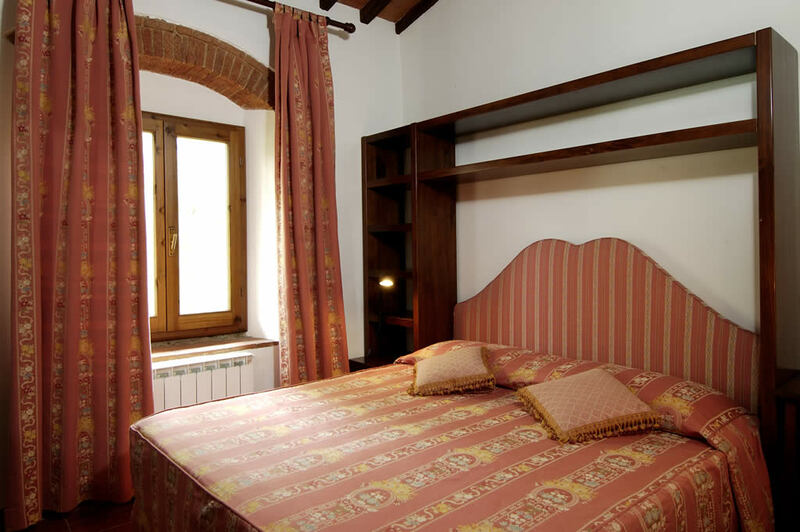 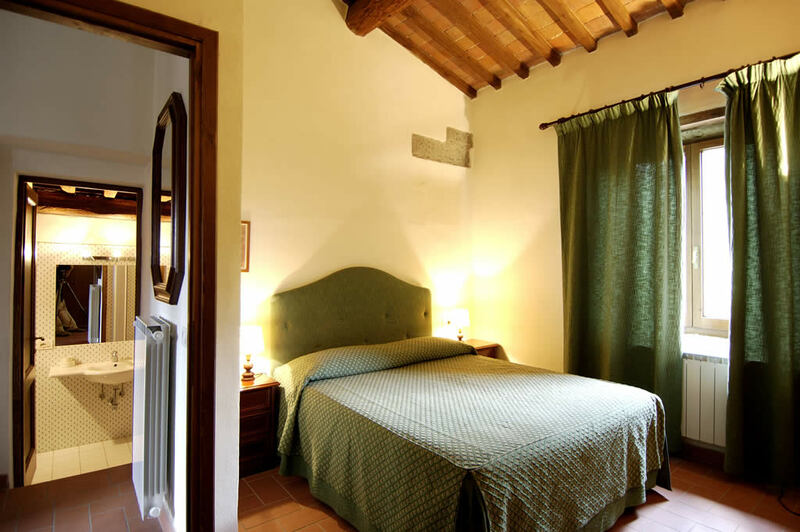 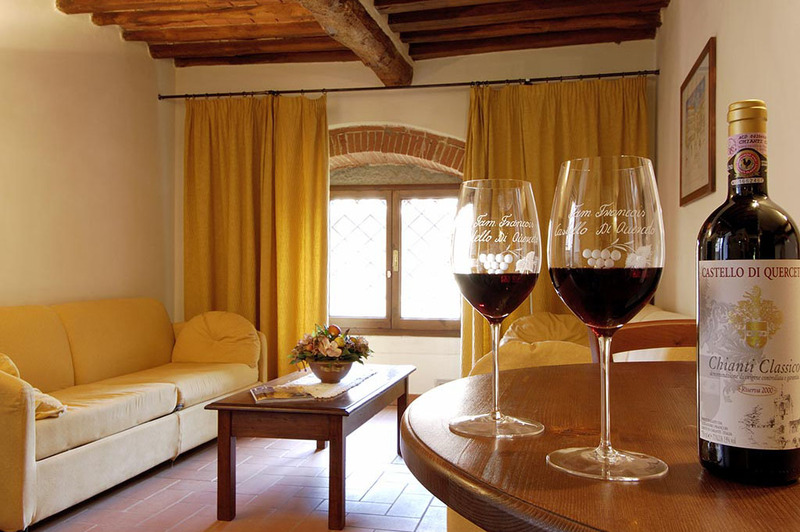 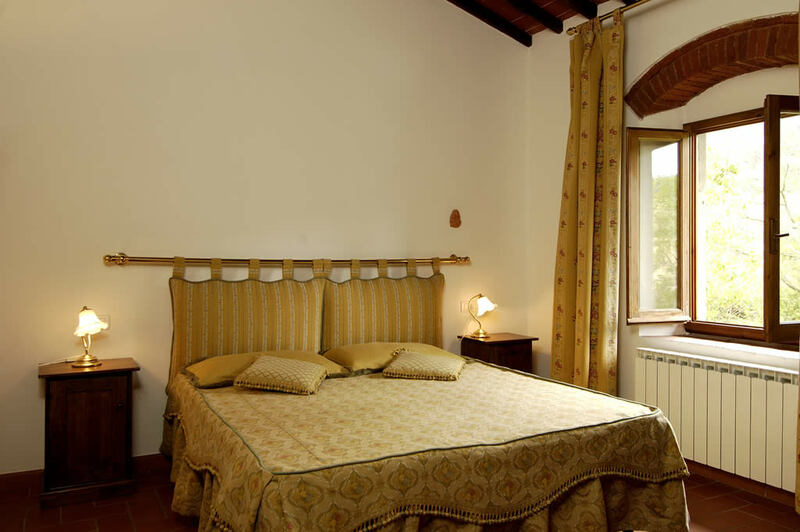 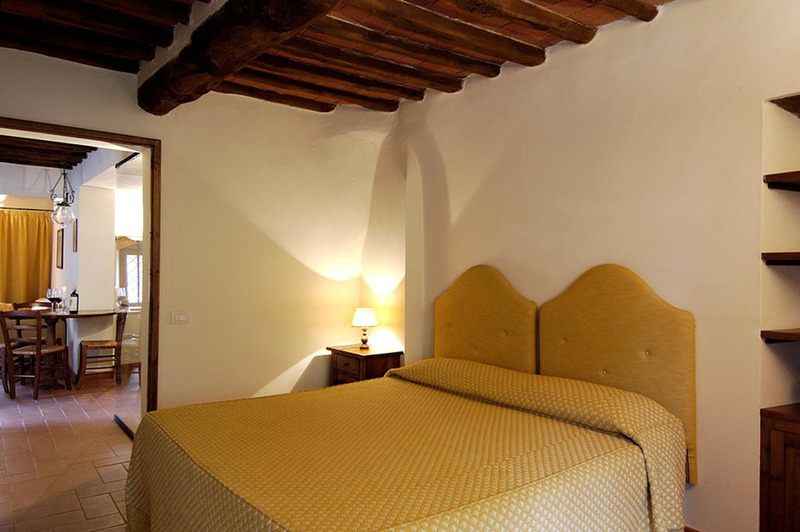 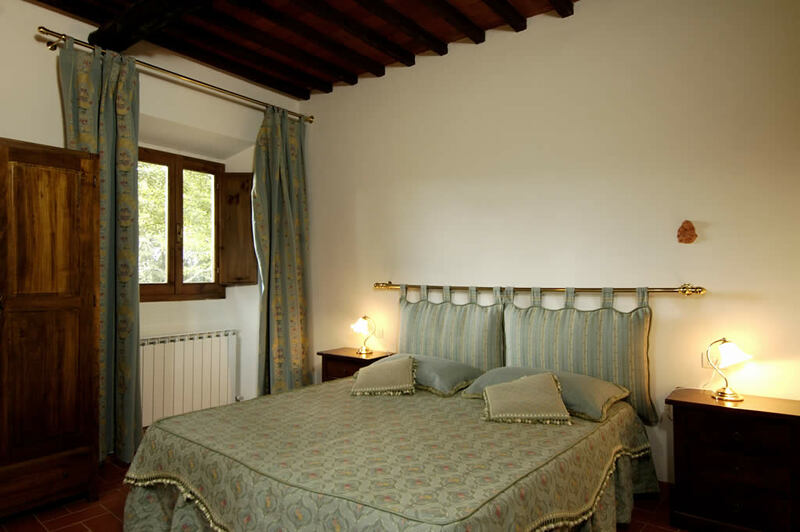 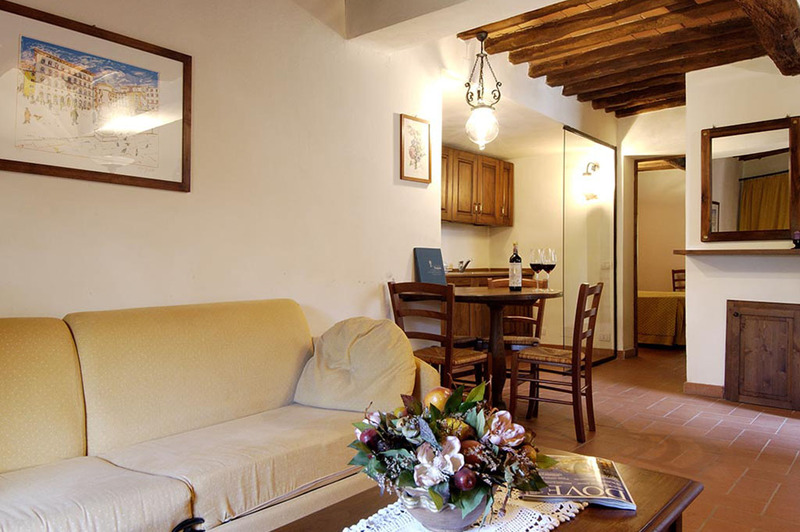 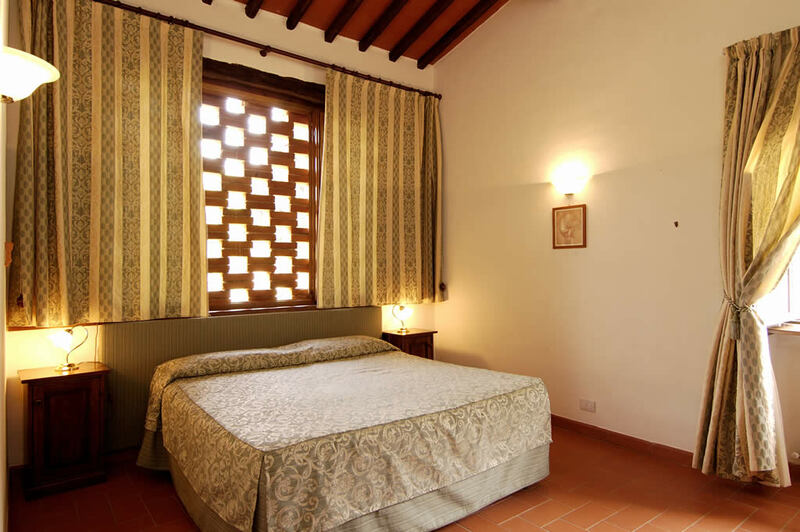 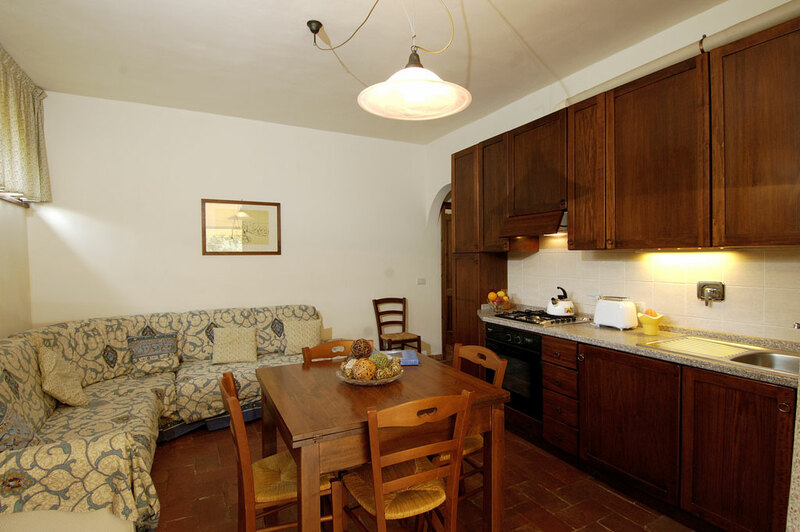 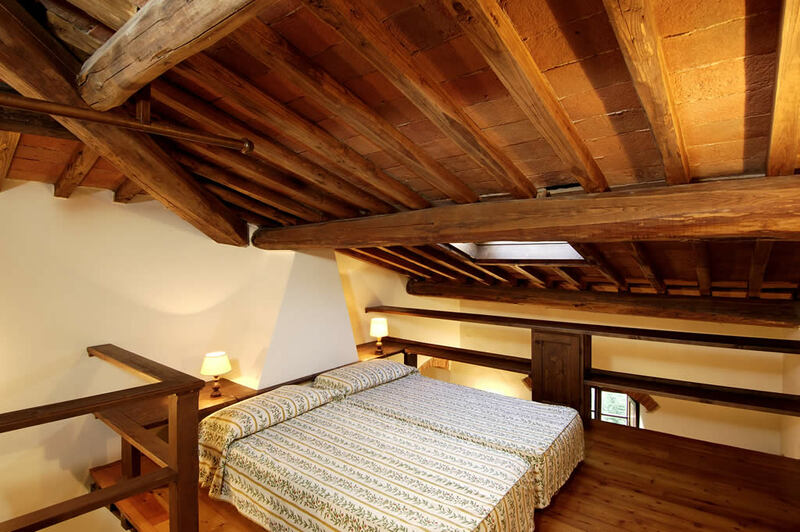 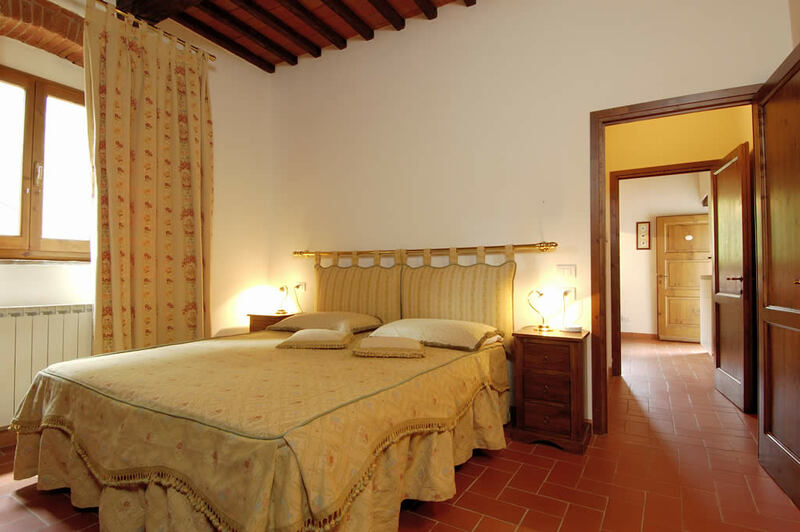 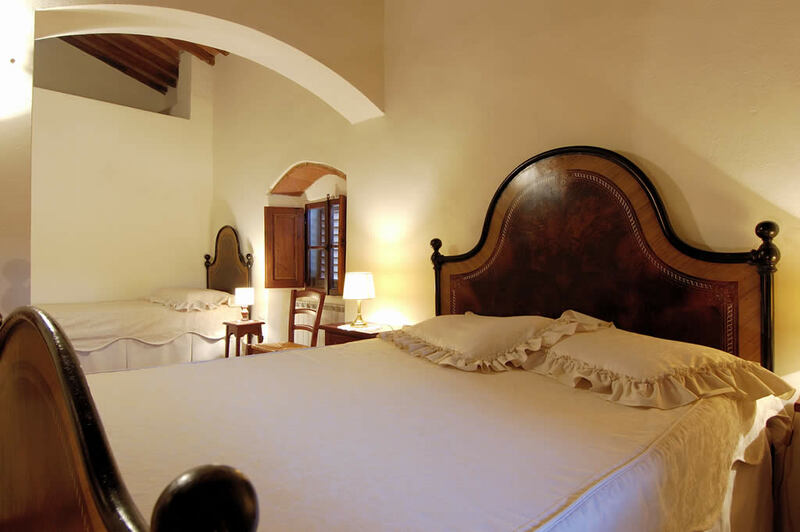 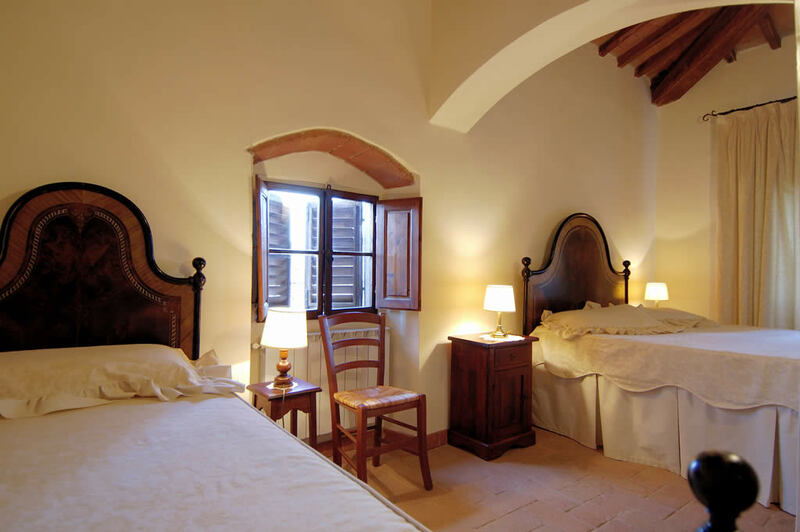 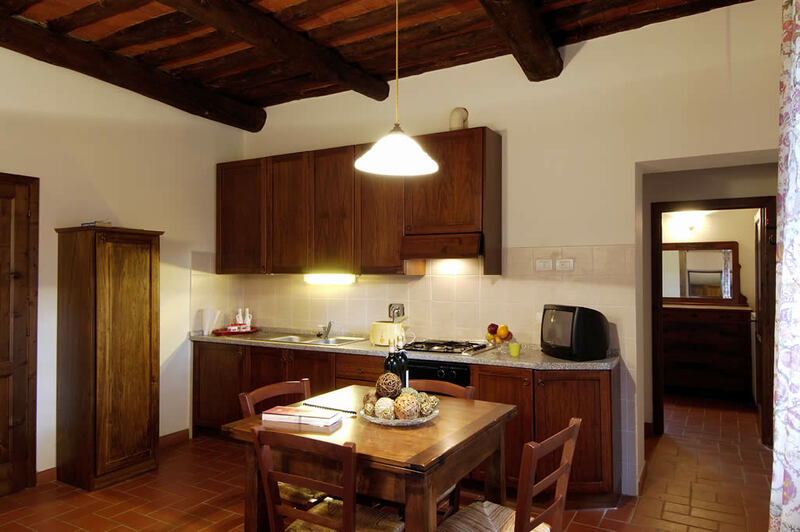 It is accessed via the main door, under the loggia, with an entrance shared with another three apartments. 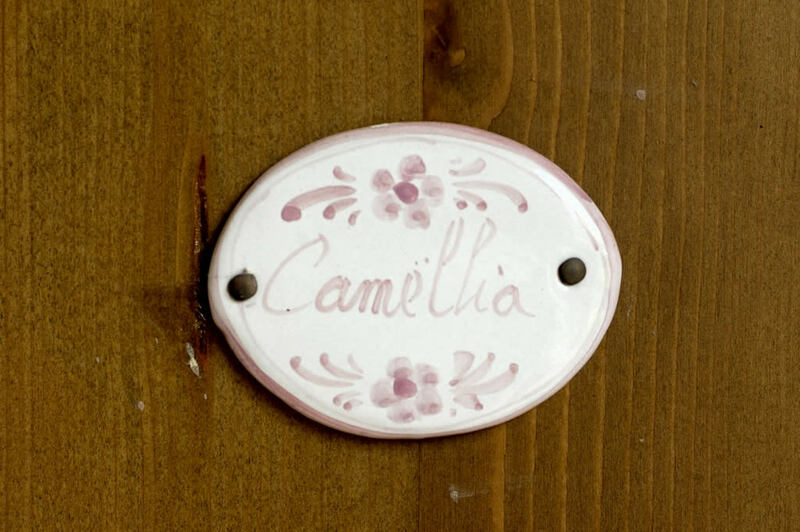 Camelia is located on the ground floor of the Le Giuncaie farmhouse. 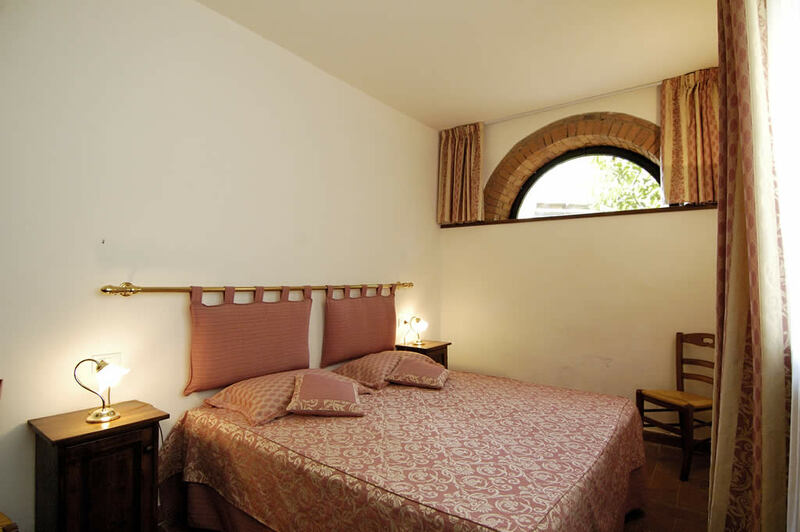 It has an independent entrance on the front of the building, under the loggia. 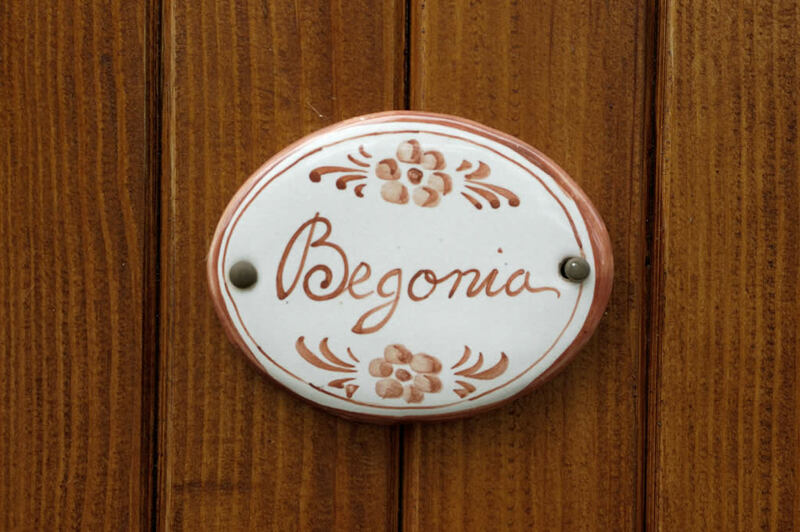 Begonia is located on the ground floor of the Le Giuncaie farmhouse. 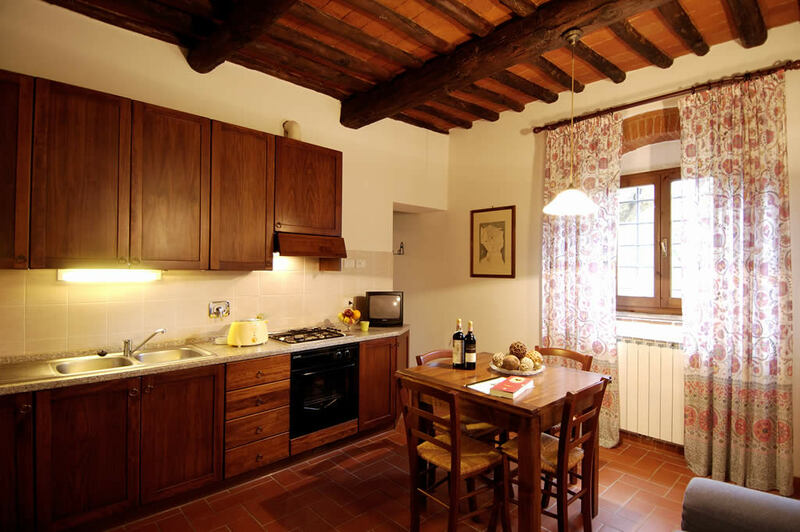 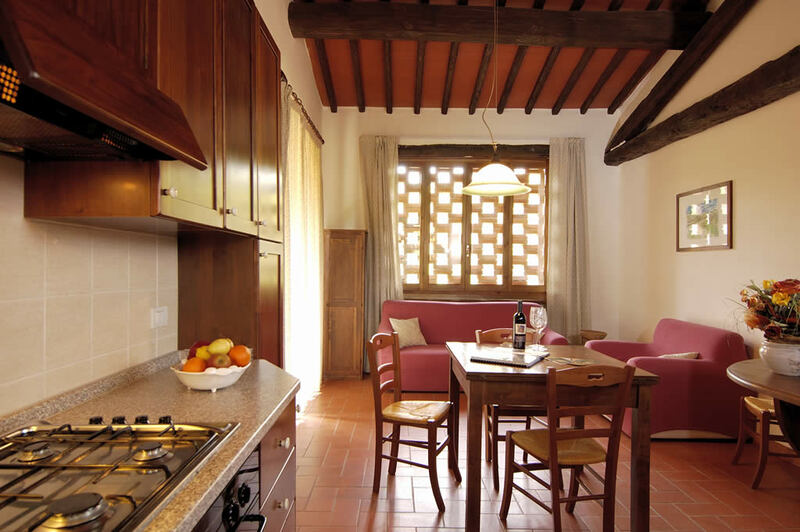 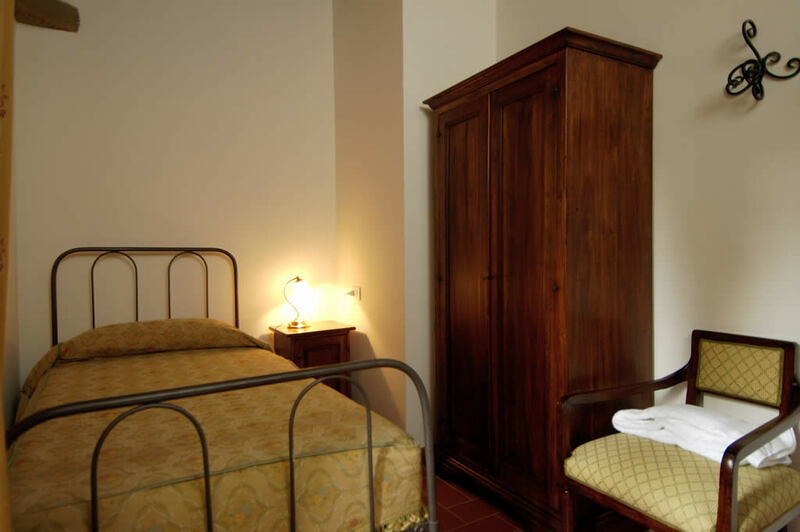 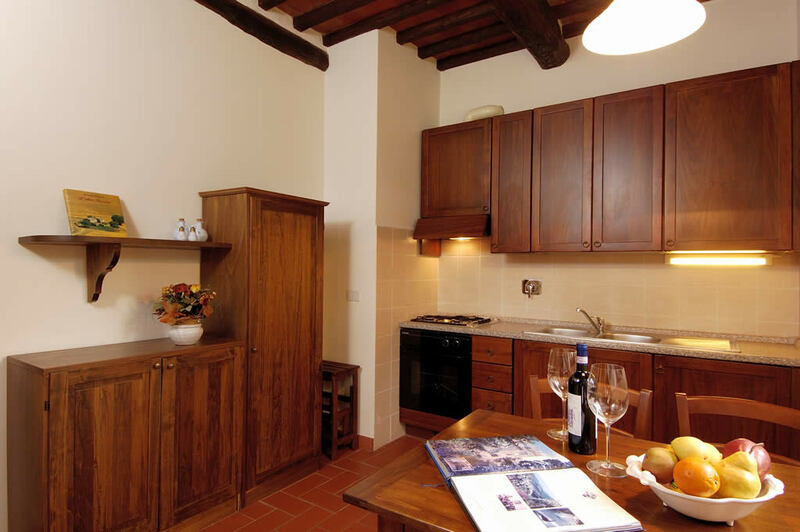 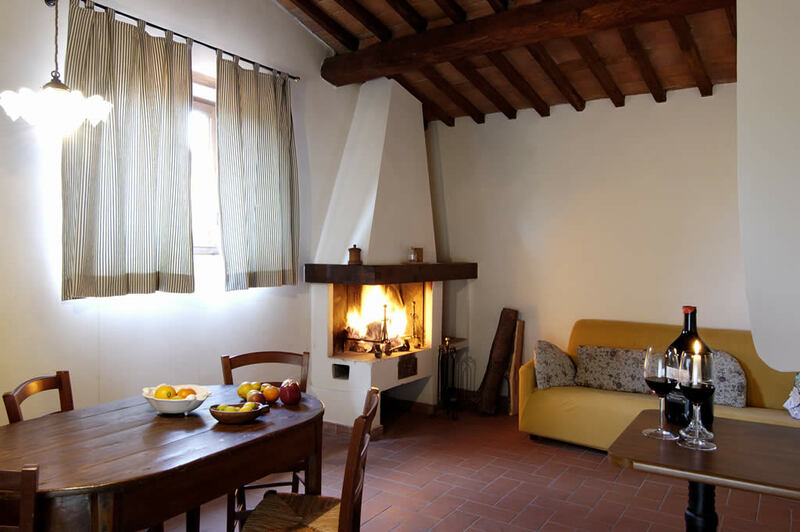 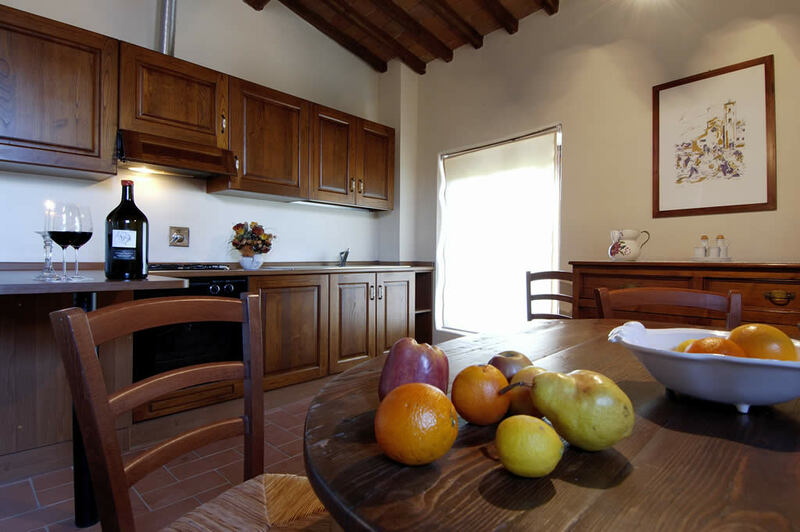 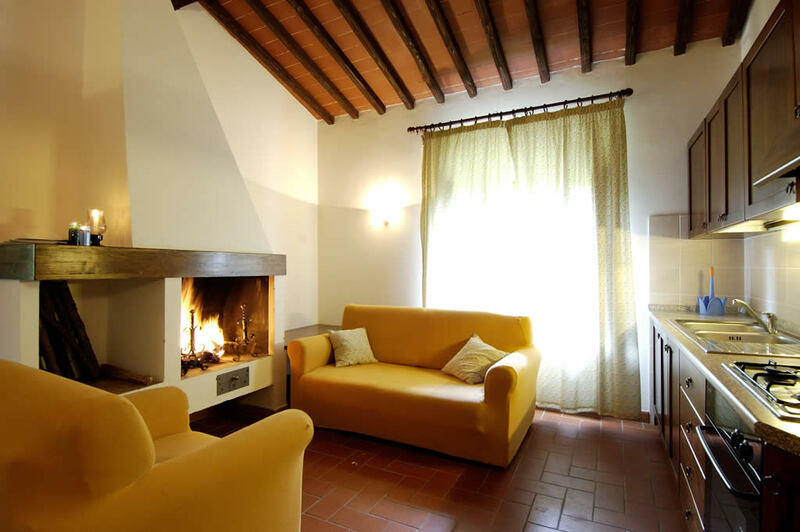 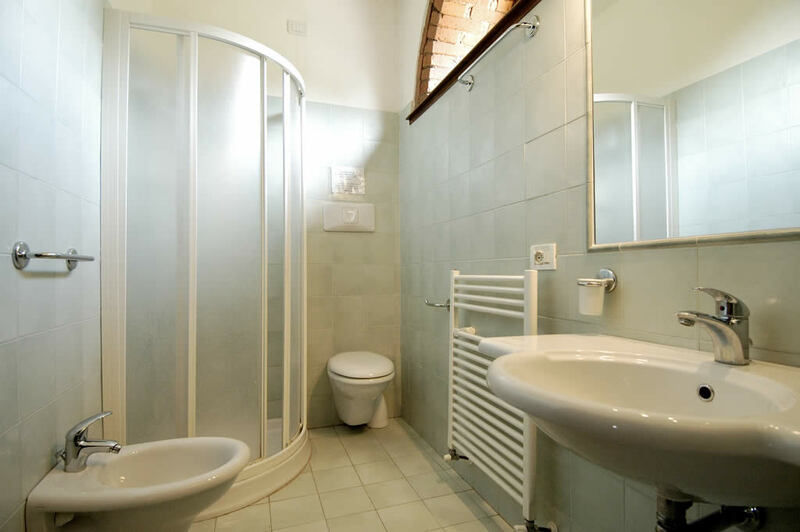 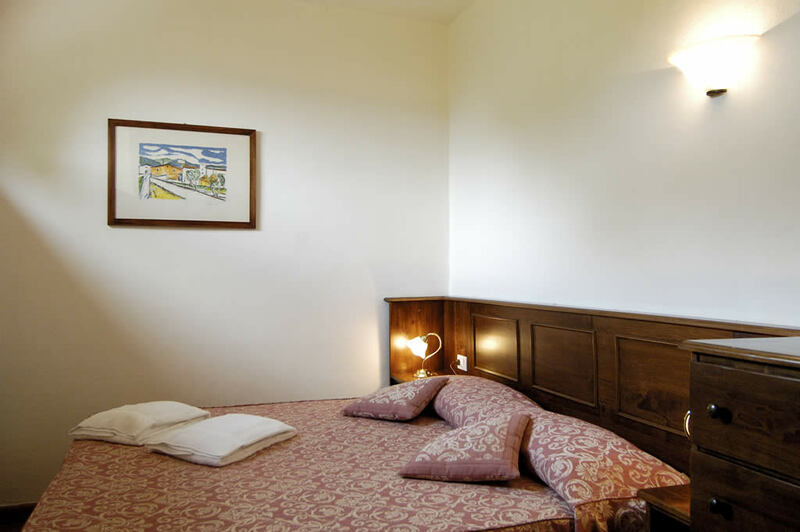 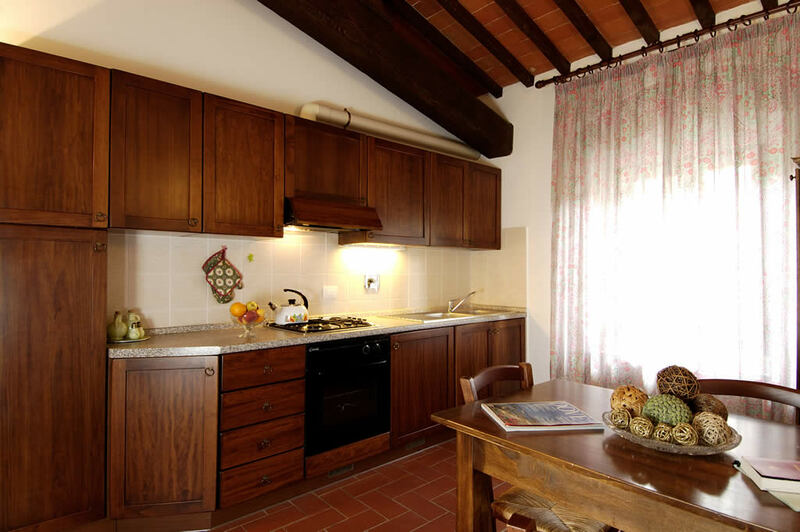 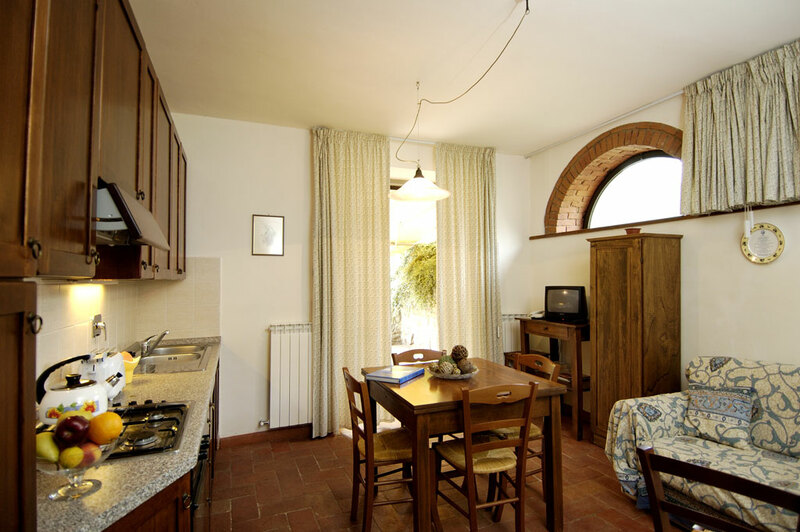 It is a two-room apartment for two people, measuring around 32 square metres, with a double bedroom, bathroom with shower and a small but practical kitchen with kitchenette. 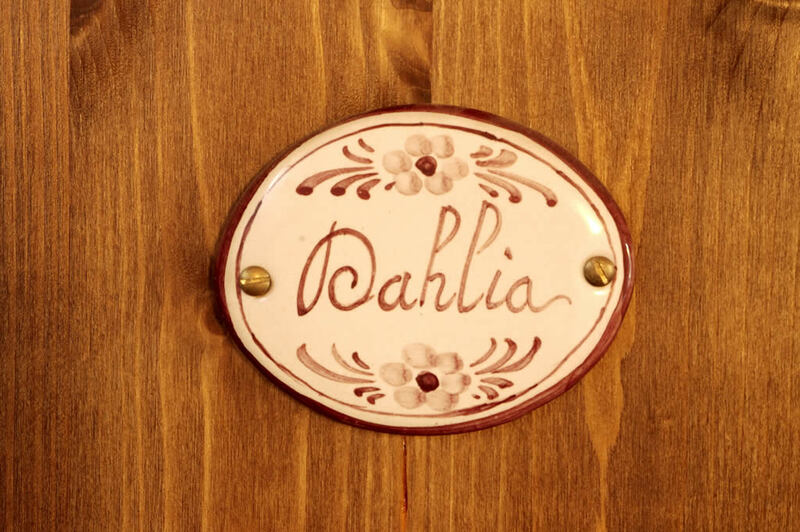 Dahlia is located on the ground floor of the Le Giuncaie farmhouse. 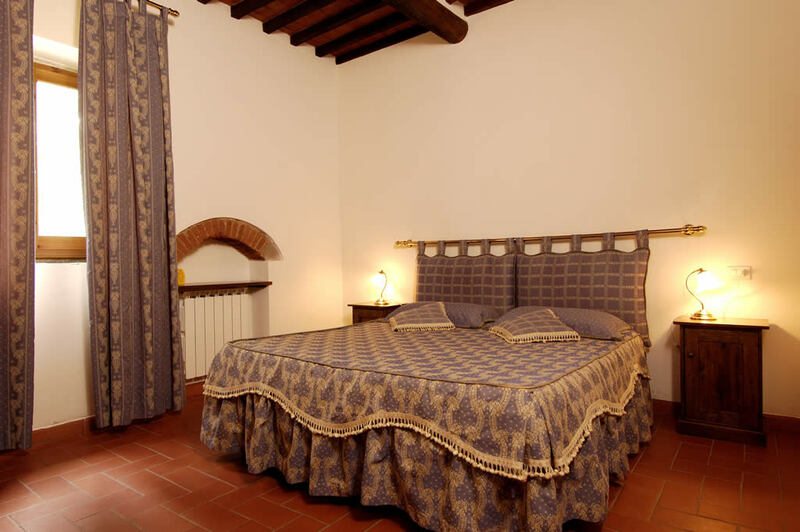 It is accessed via the main door, under the loggia, with an entrance shared with another three apartments. 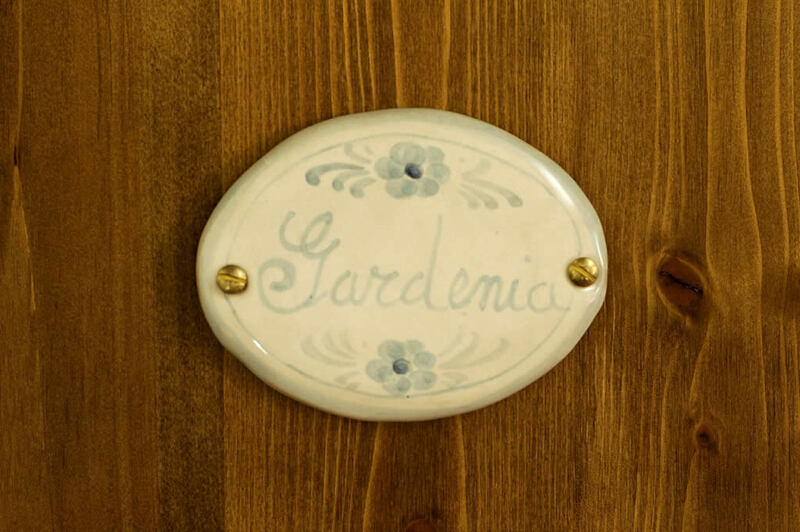 Gardenia is located on the first floor of the Le Giuncaie farmhouse. 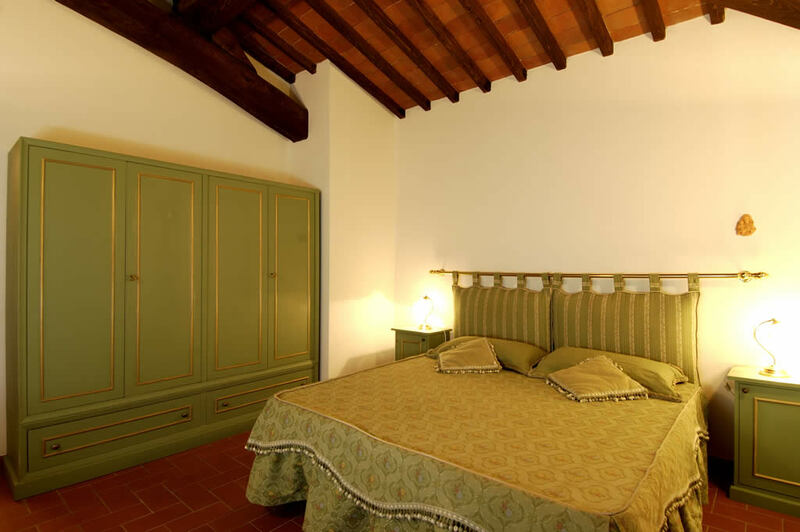 It is accessed via the main door under the loggia, with an entrance shared with another three apartments. 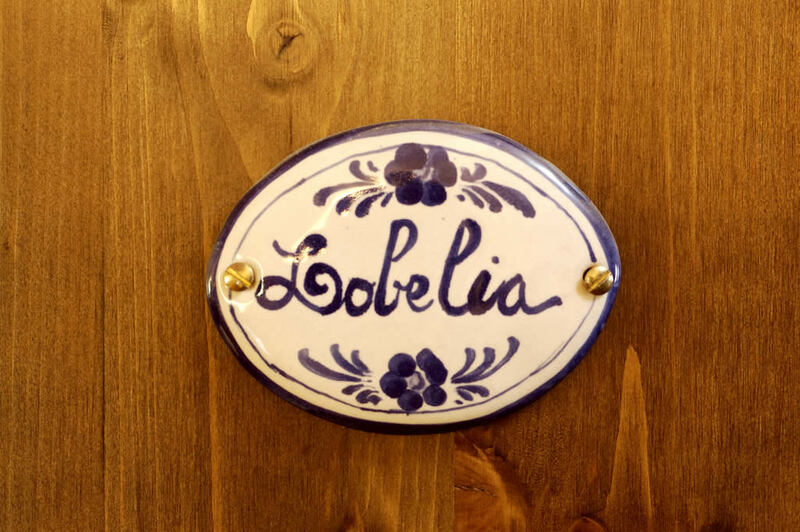 Lobelia is located on the first floor of the Le Giuncaie farmhouse. 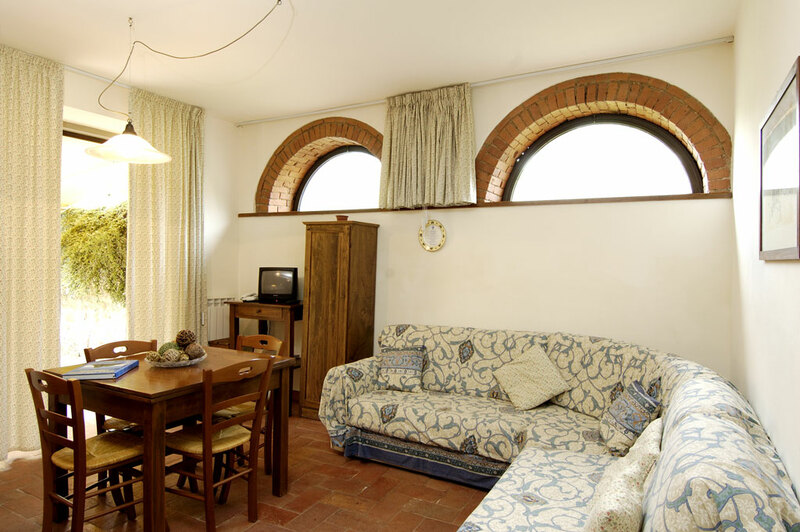 It is accessed via the main door under the loggia, with an entrance shared with another three apartments. 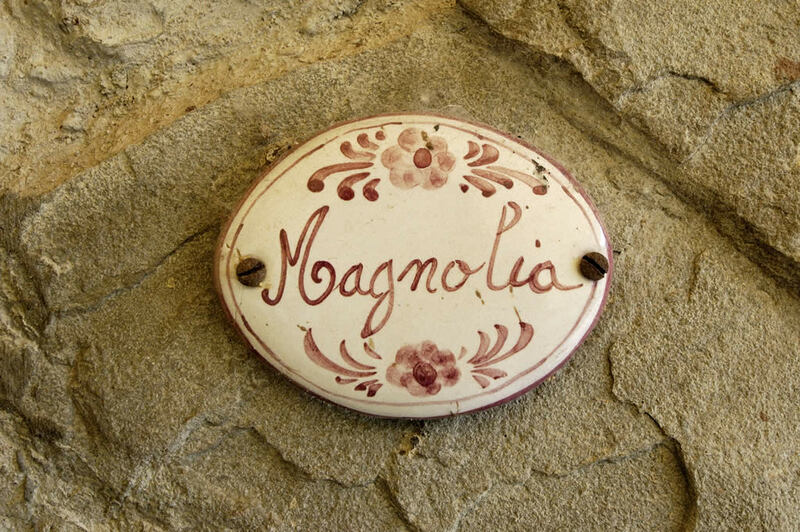 Magnolia is located on the ground floor of the Le Giuncaie farmhouse hay barn. 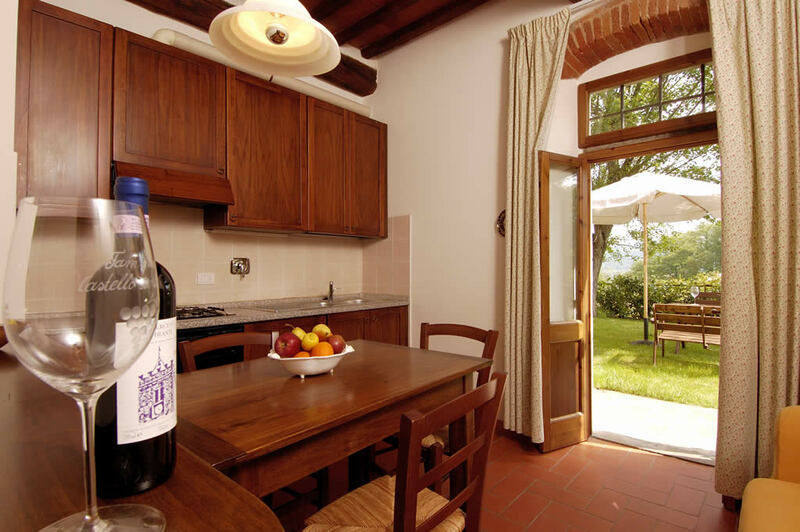 The apartment has its own private outdoor space looking out towards the vineyard. 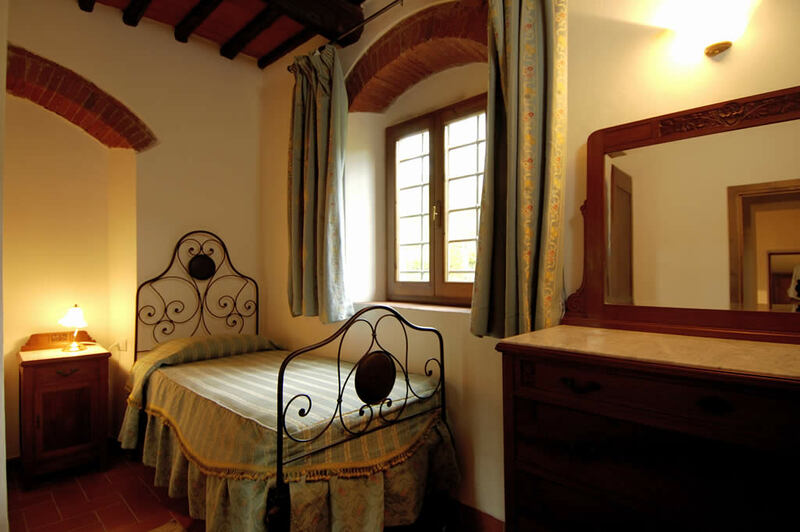 The Castle’s guesthouse (Foresteria) has been built in the former farmer’s residence. 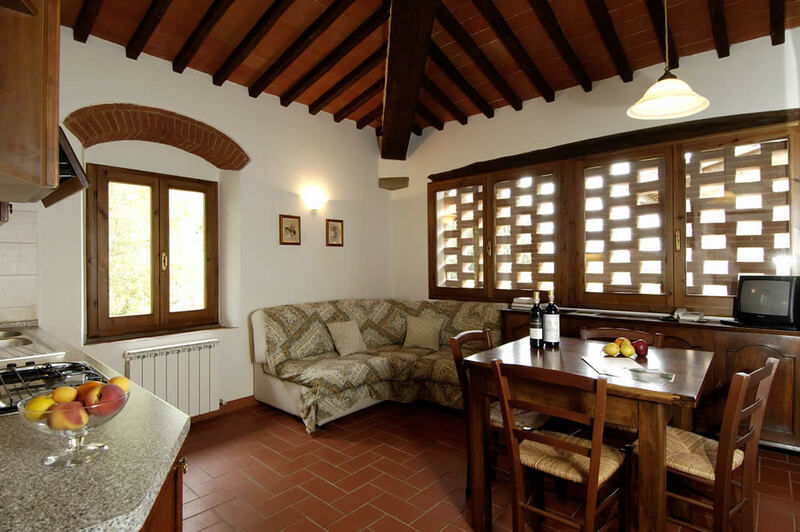 It is in the estate’s headquarters, on the first floor, above the wine shop and has private access to the castle garden in which an equipped space has been carved out with tables, chairs and garden umbrella for al fresco meals. 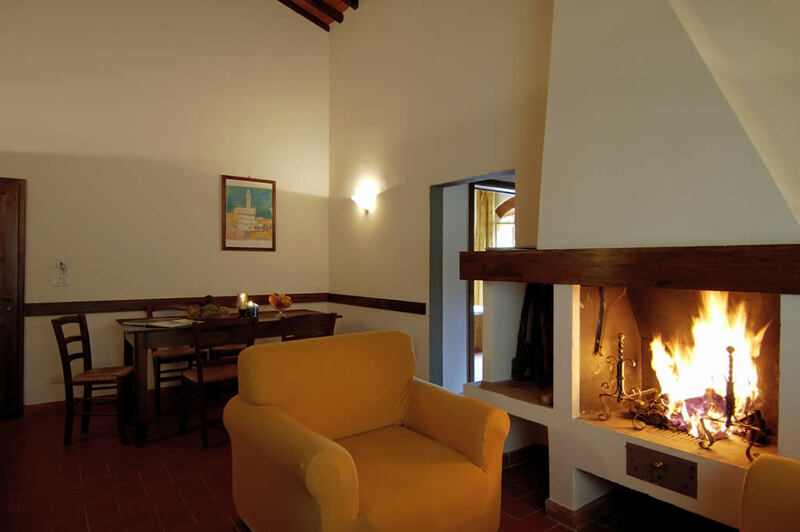 Ambra is at the company headquarters, where the daily atmosphere is that of a working farm. 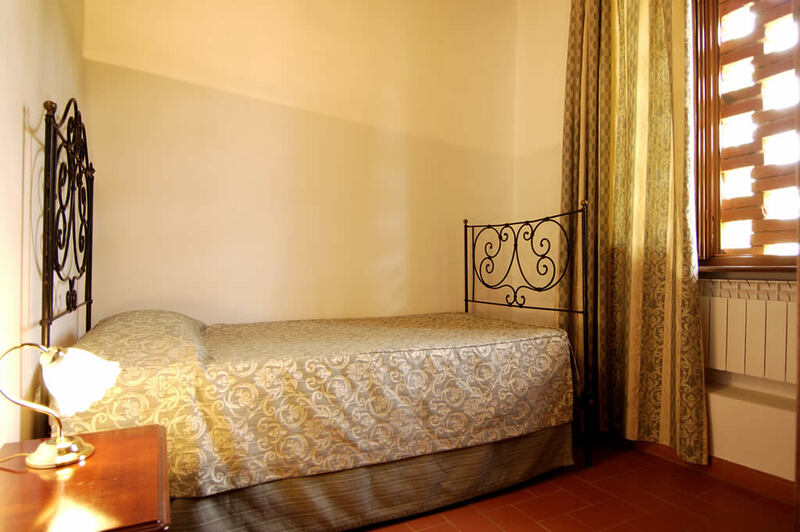 Smeraldo is located at the company headquarters, where the daily atmosphere is that of a working farm.